Supplement manufacturers often fall into the same reductionist trap as the drug companies. Herbs are assumed to have only one main active ingredient, so, as the thinking goes, if you can isolate and purify it into a pill, you can boost its effects. Curcumin is described as the active ingredient in turmeric, but is it the active ingredient or just an active ingredient? It is just one of many different components—more than 300, in fact—of the whole food spice. “Only limited studies have compared the potential of turmeric with curcumin.” Some, however, suggest turmeric, the whole food, may work even better—and not just against colon cancer cells. As I discuss in my video Turmeric or Curcumin: Plants vs. 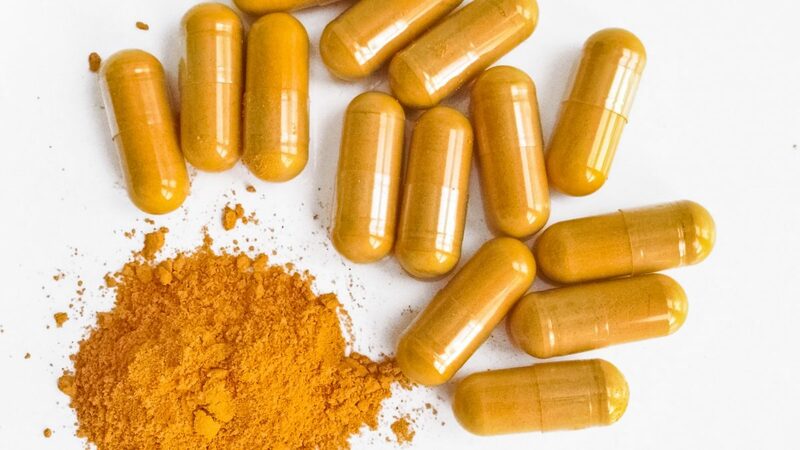 Pills, researchers at the Anderson Cancer Center in Texas pitted both curcumin and turmeric against seven different types of human cancer cells in vitro. Most clinical studies treating diseases in people have used curcumin supplements, as opposed to turmeric, but none has tried using turmeric components other than curcumin, even though curcumin-free turmeric exhibits anti-inflammatory and anticancer activities. “Although curcumin is believed to account for most activities of turmeric, research over the past decade has indicated that curcumin-free turmeric”—that is, turmeric with the so-called active ingredient removed—“is as effective as or even more effective than curcumin-containing turmeric.” There are turmerones, for example, in turmeric, which may exhibit both anticancer activities, as well as anti-inflammatory activities, but these turmerones are processed out of curcumin supplements. So, I assumed this review would conclude by stating we should stop giving people curcumin supplements and instead just give them the whole food spice turmeric, but instead the researchers proposed that we make all sorts of different turmeric-derived supplements! That’s quite a rebut to reductionism. For more on this flawed nutritional philosophy, see my video Reductionism and the Deficiency Mentality. Treating Asthma with Plants vs. Supplements? Who Shouldn’t Consume Curcumin or Turmeric? A downside of turmeric is that it is an allergen. I will break out in hives when I take it. It is an allergen for me too. My scalp becomes dry, crustations develop on my scalp and bumps on my forehead when I take tumeric powder regularly. That raises a tough question about a lot of dietary and pharmacological interventions – How regular and consistent do they have to be? Depending on the situation, perhaps we should give more consideration to periodic or short-term “treatment” ? I suppose that is something that can really be addressed only on an individual level, the variables are so many and we still know so little of the mechanisms involved. Of course your particular situation does suggest that complete avoidance is the wise choice! Hi, Lorraine Asturino! Almost anything may be an allergen for someone, and turmeric is no exception. If you are allergic to it, then that is certainly a downside to turmeric for you, and you should avoid it. When I was young, I was allergic to so many skin care products that they would tell my parent’s to use things like baby oil and I was seriously allergic to baby oil. I thought that was bad, but my cousin and close friend are allergic to saline. I thought that was bad, but I saw a little girl who was allergic to water, even her own tears, and could not be bathed, and could not cry about it. The idea of an allergy to water really strains my credulity to an extreme. Virtually everything we eat contains water. The human body is largely water. How could someone be allergic to it? If they were in fact allergic, how could they live?? Meaning no disrespect, but this sounds like a tall tale that someone passed to you on April Fools Day! Well it’s not April 1st and a simple google search finds they are probably describing Aquagenic urticaria. Anything google says has got to be true. How about the people that are allergic to oxygen? Google doesn’t say anything, it’s just a search engine that points you to the sites that do say something. 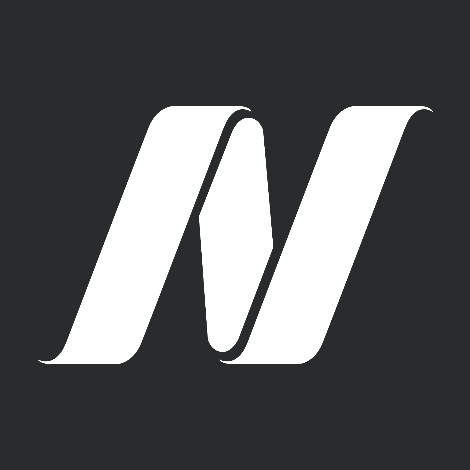 Like the NIH site that also speaks about Aquagenic urticaria. It’s rare but does exist, unlike your oxygen allergy. Right you are. There is a hierarchy of reliability in Google results, just as there is for “research”. Awwww, I watched the video of a sweetie pie with her allergic reaction. She can’t drink water or take baths and her mom said that it is getting worse. Actually, the person I watched a video on was not the same as this girl. This one didn’t have it internally. The one I saw couldn’t drink water. As of 2015, there were 35 people known to have it. There is at least one more. That really is a sad case. The vid does not say if it has been considered, but I wonder if something in their more than hundred year old house may be exacerbating the condition. One obvious factor could be buildup of contaminants in the old water pipes. Sorry if I’ve digressed a long way from turmeric! That or a psychosomatic reaction. If you could somehow test without their perceiving water and there was no reaction, then the self-diagnosis of allergy would be disproven. Any irritation or any degree of reaction gets labeled allergy pretty carelessly, forgetting that there can be other mechanisms going on. So my first thought is always, How was this diagnosed? I have a similar response. Is it worth trying a curcumin supplement? Then during the eight months that you are blessed to have fresh root, dry & powder some, put it into capsules and you have supplements for the other four months. Do we have evidence that the dried and powdered turmeric that many of us can get at any grocery is significantly inferior to the “fresh” product ? Are we perhaps falling victim to an unjustified assumption that in this case “fresh” is sufficiently superior to justify efforts to obtain it? I don’t ever recall seeing “fresh” turmeric. nothing is ever simple, is it! Thanks. There are videos on YouTube for making your own powder from fresh ginger. Fresh tumeric is not always available locally. So I order powered organic tumeric that has been third party tested for lead. Most companies make that info known. I use tumeric every day in foods. However, for headaches, etc., I take meriva curcumin along with ginger and sometimes boswellia (frankincense), which is more effective for that. I don’t do aspirin, ibuprofen type drugs. Can you disclose the name of the brand of powdered turmeric you use? Lida, the tumeric brand I have now is Terrasoul. I can buy fresh turmeric in any grocery store in Mazatlan, Mexico and in many grocery stores (certainly whole foods) in USA. I generally put it everything from My morning oatmeal to spaghetti sauce. Do you see any medical benefits from fresh vs pre-powdered, aside from a possible reduced risk of contamination? Try freezing it, or looking at other ways to preserve it. If allergic or other negative reactions to turmeric can be managed by isolating the acrive ingredient needed for a particular problem, that is surely a good thing. However, from the very brief mention in the blog, it would seem that reducing turmeric to a large number of active ingredients and marketing them individually is merely reductionist fragmentation designed to create a new or larger market for pills. I had to write another comment because I forgot to check the box for email participation the first time. Oops. So, how should we get our turmeric? *Flavoe description stolen from Wikipedia. I couldn’t think of how to describe it. Eric, I just put a quarter teaspoon in my smoothies. Easy way to add. Taste doesn’t seem to be a problem. Meant to say that’s the powder not the root in the smoothie, but I could try the latter. Roots are great too when you can get them. I started growing the rhizomes a few years ago, along with ginger, and they are both great in smoothies. But how do you determine the strength if using the whole root? I am trying the Meriva form for my joint pain issues after reading some research studies on it. In the list above under “Speaking Tour”, please consider including the name of the city so we don’t have to search each item to see where it is taking place. I understand that turmeric is very high in oxolates and that’s the only reason I take curcumin instead. I have a problem excreting oxolates and they are toxins that build up in the body over time and can cause severe pain and all kinds of obstructions. Some supplements contain both whole turmeric and the curcumin extract. LONGVIDA Optimized Curcumin Extract does have some serious research behind it. I believe that UT Southwestern is currently conducting a cancer study using LONGVIDA. I would love to just add some turmeric to whatever I am eating but I keep reading that turmeric is only effective if it is taken with a fat of some sort, some black pepper and heated before consuming! Otherwise it is not doing what it needs to be doing. I would love to hear what Dr. Gregor has to say about this…. Which is better the powdered turmeric spice or turmeric in a capsule which also has black pepper? it is not true that other curcuma long extracts have not been studied. A few interesting studies on curcuma’s polysaccarides on pain and osteoarthritis have been published. curcumin supplement video: so how much turmeric should we consume to be equivalent to a curcumin capsule? After looking at a study that gave whole fresh turmeric, I think they used about 5 g per day. I put that much in my smoothie along with fresh ground peppercorns. Any more than 5 g and it begins to get overpowering. Some time ago I suffered a great ripping pain in my upper right abdomen area, I was crippled for half an hour or so. These pains came and went for weeks. My daughter Lucy’ realised after reading an M. Greger blog,that I was taking my home made turmeric pills every morning and that perhaps they were the culprit. I stopped taking them, had an ultrasound and there were the gall stones! I am waiting on my latest MRI results on a bloom found on my Gall bladder. I hope it turns out as nothing more than an escape route for the stones. I now know that turmeric can have a very negative impact on a congested gall bladder thanks to Michael Greger, via my daughter. The pills I took were made with a reputable organic turmeric powder. If the onset of your misery coincided with beginning the turmeric (more or less), and ceased when you stopped taking it, that seems to me to lean pretty strongly to causation rather than just correlation – but I hope in the interests of preventing future problems, your medical advisers are looking further than just the reaction to turmeric. Good that you are gradually getting past the problem, however it may have been caused. mlarsne, here is the video warning about turmeric for those who may have gallstones. https://nutritionfacts.org/video/who-shouldnt-consume-curcumin-or-turmeric/ Related videos are listed under Doctor’s Notes. 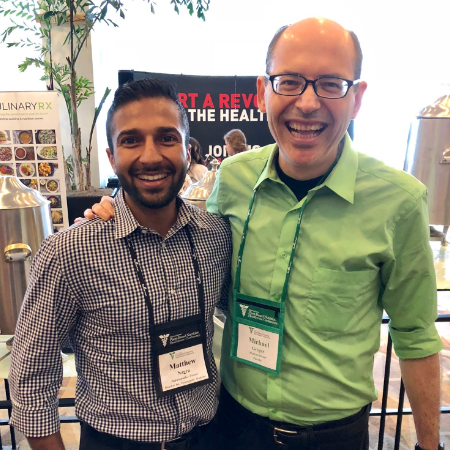 In articles that Dr Greger writes, sources and related videos are hyperlinked in the blue/green lettering. Awhile back on another video i commented about eating the whole root with the skin. I slice it about 1/4 inch, douce it in freshly ground pepper and pop it in my mouth chew then swallow. A fellow was arguing with me as to why i would do something so distasteful and not just pop a pill. This article validates my belief that whole food has enzymes and cofactors that is not present in processed manufactured singular nutrient pills. I do both, curcumin (supplements) and turmeric in cooking and golden “milk” (non-dairy). I have 17p deletion myeloma and I believe it has helped to keep me in remission for past 6 years. I’m afraid to stop the supplements but I’m glad to know that using the spice is also beneficial. Thanks for the update. I follow your “How Not To Die” book and I’m completely plant based in my diet. Thanks Doc, you rock! I found that the pills gave me acid mouth and repeated on me, but I now add grated turmeric in my salad every day along with a little black pepper and grated ginger. Q–how much tumeric root do u have to eat/day to get the benefits? For turmeric root powder, Dr. Greger’s Daily Dozen lists 1/4tsp as the dose, but for whole turmeric root you would need to take a few grams to receive the same amount of the active compounds. 2-4g/day would be a safe bet.